TUCSON, AZ (Tucson News Now) - There are times when sports is about more than just wins and losses or fame and fortune. One of those special moments came in Tucson Friday, Feb. 2. Tucson High was hosting Flowing Wells in its final junior varsity game of the year. Delivering on a promise she made at the start of the season, the Badger's coach told team manager Alyna Macias she was getting in the game. With the game tied at 5-all in the third quarter, Macias came off the bench and scored four quick points. According to Andy Morales at AllSportsTucson.com, cheers for Macias rang out from both sides of the gym. 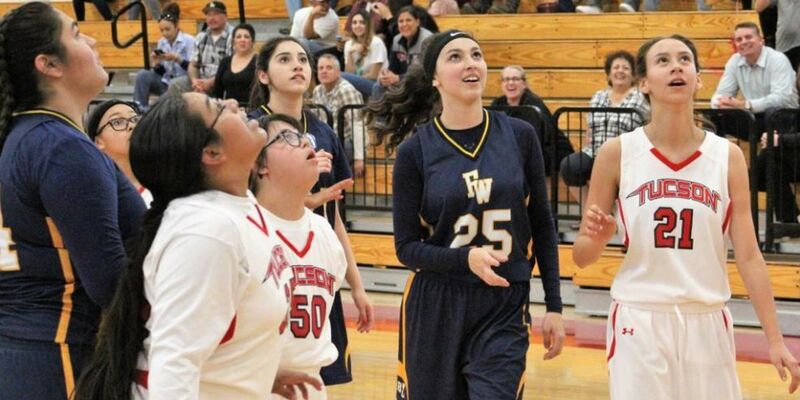 The teams had talked before the game about Macias, who has Down syndrome, and agreed to let her score regardless of how close the score was. Macias' performance has gone viral, with even ESPN reporting on it. Below you can watch a video, which has been viewed more than 3 million times, of Macias finding out about getting in the game and scoring for the first time.